$40 for a paperback often feels more like torture than the Eucharist, but not this time. Cavanaugh is also connected to the Radical Orthodoxy movement most often associated with John Milbank  (who is mentioned several times in Cavanaugh’s Torture and Eucharist). Radical Orthodoxy is known for its attempts to critique modernity’s “pre-theological” categories, to reaffirm theology –and not any secular discourse– as the foundation and true basis and description of the Church’s vision and ecclesial practices, and reinstitute theology as the queen of the sciences (this concern to veto the total reduction of the Church to sociological analysis is articulated explicitly in several spots in Torture and Eucharist ). Cavanaugh writes and lectures on a wide range of topics, some on the Christian tradition but mostly within the umbrella of political theology – the intersection of politics and religion, the rise of the nation-state, the legitimacy and genealogy of “religion” as a category, the nature of torture, &c.  There is an understanding of the modern nation-state as atomizing and intrinsically violent (even “founded on violence” ) in the background of Cavanaugh’s work, as founded upon a false myth of violence. To varying degrees, these topics are all touched upon in Torture and Eucharist. 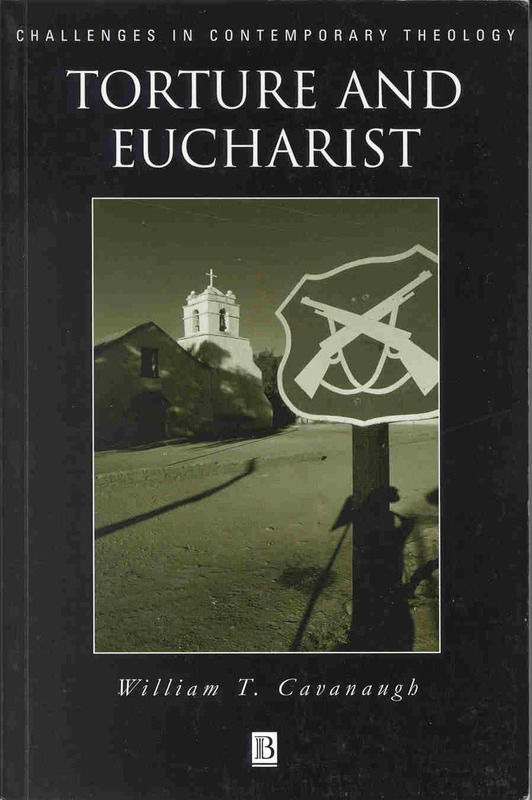 In Torture and Eucharist, Cavanaugh describes and analyzes the horrendous effects of silent abduction (being “disappeared”) and especially torture as a strategy employed by modern nation-states to dissolve the various social bodies that individuals are embedded within. Once citizens are torn away from these larger bodies, the state gains direct and unmediated access to each and all of its own, without the possibility of encountering resistance to its authority or facing the alternative claims of any rival. In Torture, Cavanaugh looks at this dynamic as it was in play in Chile during the Pinochet regime from 1973-1990.